If you are wondering where I have gone, please come to my BLOG at Wordpress. I have been there since January so please follow me there to see my recent finish. I have decided to make the switch from Blogger to Wordpress. I am involved in another group blog called Hexagon Alley. We have moved Hexagon Alley to Wordpress due to commenting issues. So I looked into it and decided to switch my blog as well. It will be completely functional by Monday, January 5. 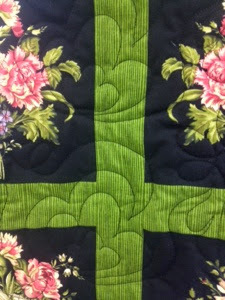 Please meet me there for current and future posts about my quilting adventures by clicking on this link. These are my year end totals... I was quite surprised with the results. 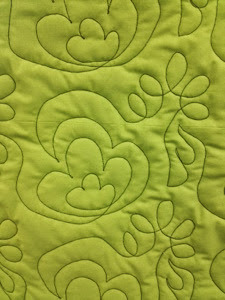 This is the main reason I blog about my quilting is to keep track of the projects/quilts worked on in the year. Click on the links to see the complete picture list. 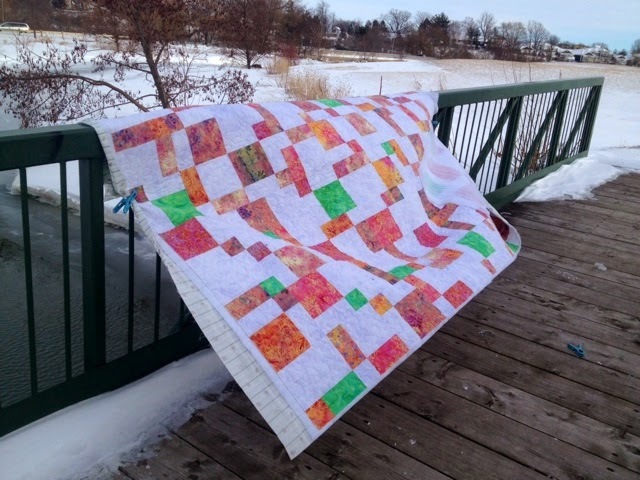 55 total quilts completed only on my long arm in 2014 for charities or customers. 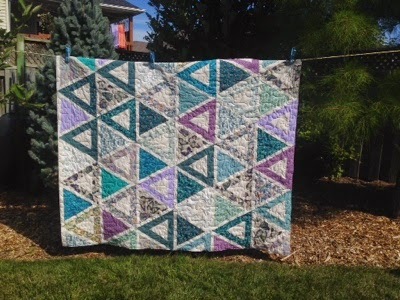 Other people did the piecing. 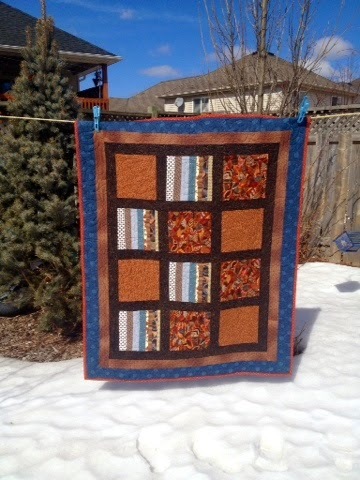 8 quilts completed by me start to finish, either for customers or myself. 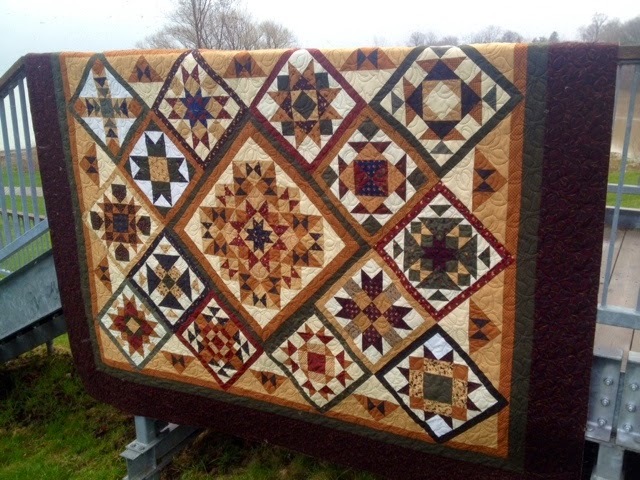 19 Customer quilts completed on my long arm. 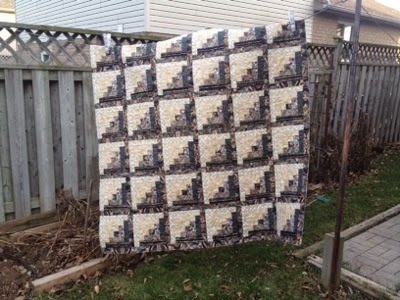 Total Charity Quilts: 36 quilts completed on my HQ 16 Long arm. 10 projects like bags and wall hangings completed by me. Thanks for stopping by... and here's to praying 2015 is just as much of a blessing!! 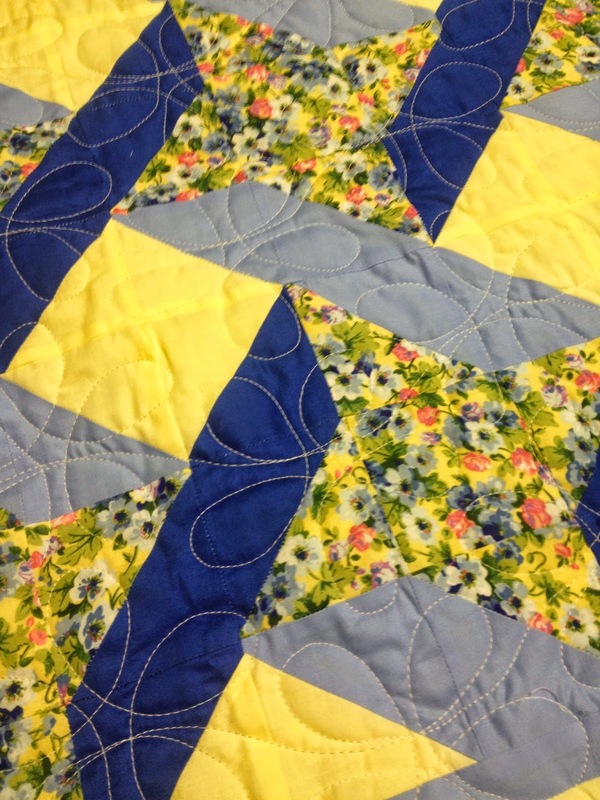 Please click on Lily's Quilts Fresh Sewing Day to see other year end finishes. I made 6 mug rugs for Christmas gifts but I only took pictures of 2 of them...sorry. I made 2 mug rugs with these hexies. 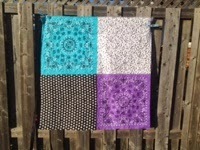 These are the last 2 mug rugs I have made for my friend Robyn. 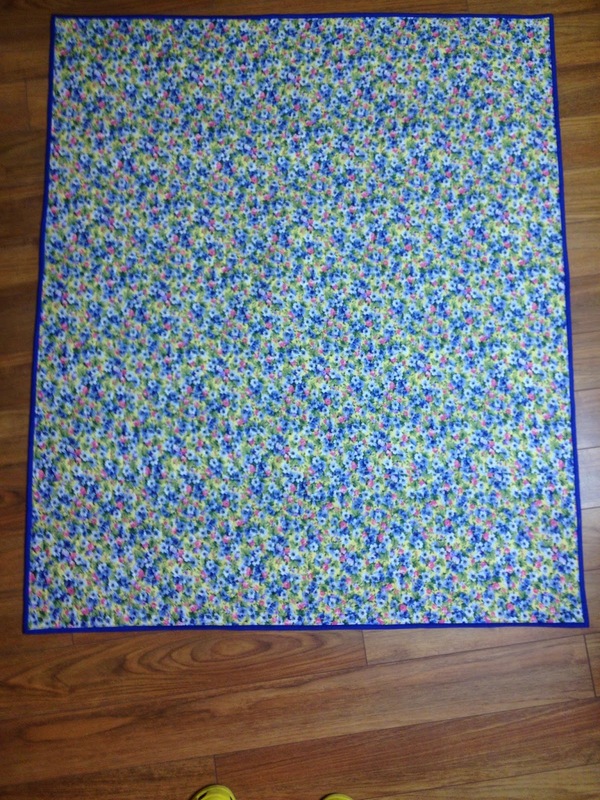 I also made 2 mug rugs for my brother in this same pattern using Christmas fabric. 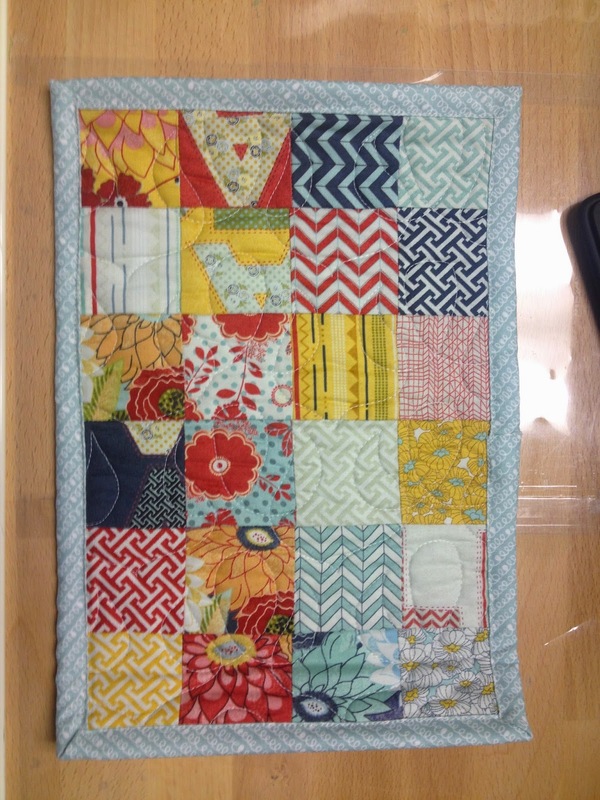 One of my customers gave me a lap quilt top and backing to complete on the long arm and then donate to the charity I quilt for (KSCQs). 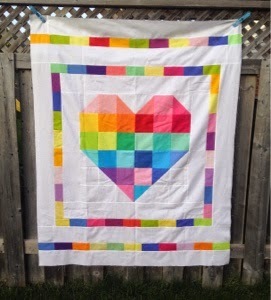 It was one of her first quilts she ever finished. I think it turned out well! I used a new pantograph but have forgotten the name. I will look when I am home. 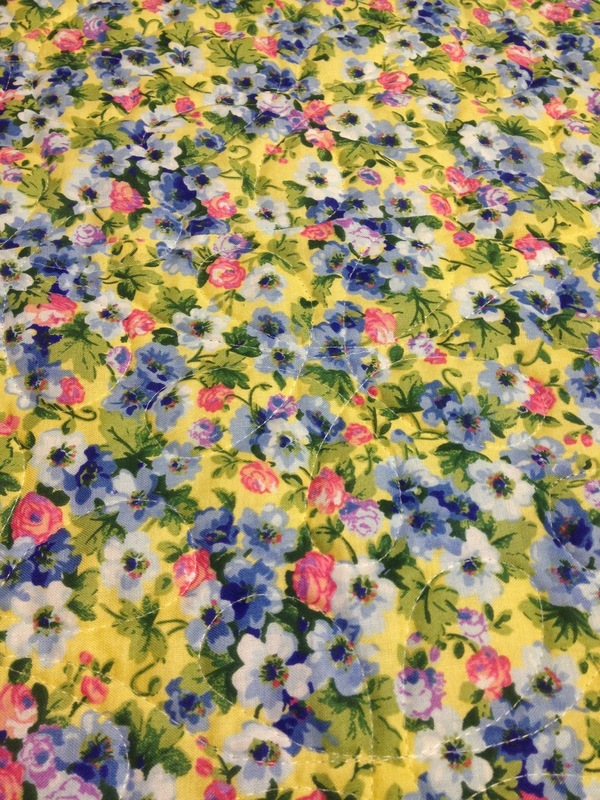 I used Wonderfil thread in a pale yellow. 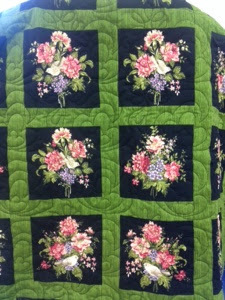 Thank you Sue for this donation to the Kindred Spirits Community Quilters! 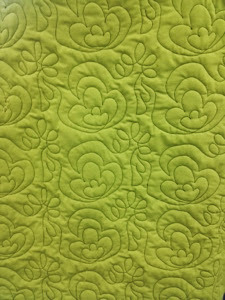 This is the latest long arm quilting finish. 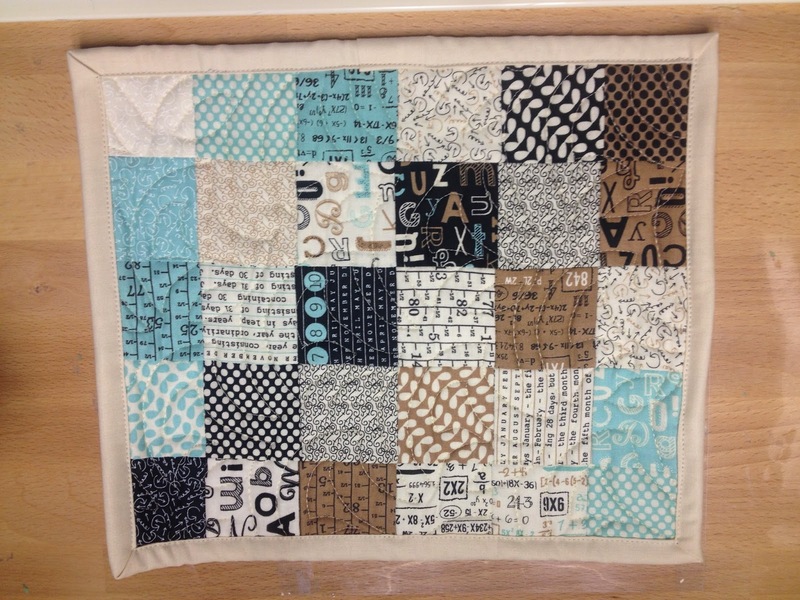 It is a prayer quilt for Bethany Community Church quilters. A close up of the back. 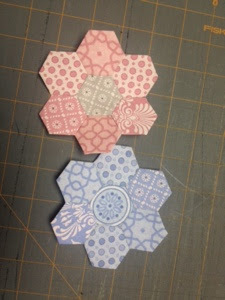 I am working on these hexie flowers for a couple mug rugs. -WIPs Wednesday at The Needle and Thread Network. Click on the links to the right to see what other bloggers are up to.